Racial identity and racial discord are but two sides of the same coin. Thinking by or reacting from a sense of self that is based on the fallacious idea of race is the cause of racial discord and is the source of its continuity. Upon seeing instances of racial discord, can you just simply be aware of them? Does not the raised awareness of actual circumstances bring change in its wake? In this watching there is no acceptance or rejection, agreement or disagreement, no denial or affirmation, just the seeing of the totality of what is happening. You do not describe the fact to yourself; there is no verbalization about the fact, as your energy and interest are consumed in total attention. There is a constant endeavor to keep the whole picture of racial discord in view, which includes the psychological causes and not just the symptoms. This frees you from giving undue importance to any particular symptom appearing in your awareness. You let the mind find liberation from the self-made prison of racial identity. You must be able to see all conditioned ratiocination without getting captured again in the habit, groove or pattern of racial and national identification. You must be skeptical, doubt and suspiciously question to find out the absolute invalidity of racial identification. You must go to the very root of racial strife to sever all its vast branches. You must have serious interest to see the utter importance of questioning and penetrate racial identification’s harmful effect in daily living. Can you see that continued racial identification demands an increase and multiplication of racial discord? Your realization enables you to view instances of racial discord, not from the standpoint of illusory division, but from the point of view of realizing the participants’ essential sameness and the contradictory psychological causes manifesting in the incident, symptom or effect. This understanding is based on the factual oneness in your identity as human awareness, which is your chief relationship and fundamental similarity with all other human beings. Human awareness as what you are, is always true of every other human being, universally. Your true identity establishes a relationship with humankind founded on reality and observable facts. 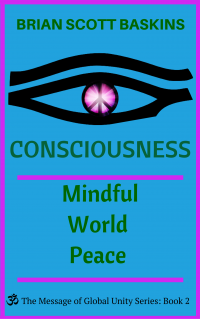 Ascension: Awakened World Peace is Book 3 in The Message of Global Unity Series. Can we consciously rise above racial antagonisms? Ascension is the solution to all of humanity’s problems. As we “rise above” our limited thinking and “transcend” the ideas that prevent a united earth and global unity, we “go beyond” repeating the horrific conflicts of the past. The purpose of the Oneness Movement is to shift and “uplift” humanity from that of constant and enduring separation, judgment and suffering to that awakening into Wholeness and Oneness and a shared experience of deep love and joy, felt within oneself and towards others. Rise above and enter into that state of non-reaction to the world of appearances of racial and national conflict whereby you do not react fearfully or doubtfully and will be able to impart to those around you a greater confidence in the great truth that Oneness is reality in spite of all appearances to the contrary. This higher perspective is the key to ending racial conflict and the suffering of war throughout the world. Resolve racial flare-ups and ascend beyond seeming differences that breed conflict by discovering self-defeating attitudes and beliefs that keep you feeling separate. Build cohesiveness among diverse individuals. Turn ideas about Oneness into action by moving past explanation into the embodiment of six key principles. Detachment means discord and division are viewed impersonally. Our non-objective automatic reactions are a way of scaring ourselves, solidifying our opinions, passing along destructive mental viruses, and stirring up anger and despair. It’s important to see when imagination and visualization and fantasy are creative, entertaining or enjoyable and when these are a way of generating more misery and suffering. Renew your enthusiasm for Oneness regardless of appearances to the contrary by applying the mindfulness insights in this book. 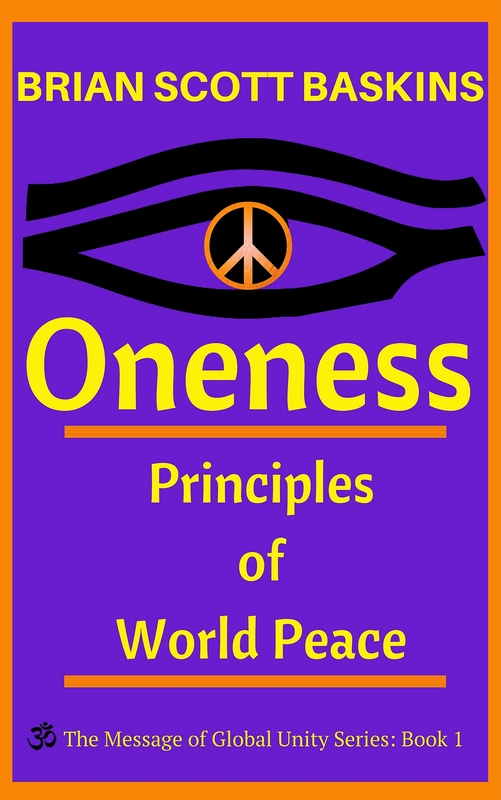 Be forward-thinking and use what you learned in Book 1, Oneness: Principles of World Peace. When a tough racial conflict comes up, you will know how to handle it. When faced with a racial crisis, you will respond with confidence and feel motivated about world peace. This book answers the toughest race relations challenges without the resentment and anger unconscious approaches can take. Discover your unique individual approach to each racial situation, maintain your composure and achieve a positive outcome. Learn principles that apply universally broken down into bite-sized pieces that every reader can understand and implement. Surrender to the truth and live in Oneness! Prepare to roll up your sleeves and dig into this book as you master techniques to defuse your frustration by dissolving automatic reactions and conditioned thinking. Understand the core cause of the problem with a sure-fire approach to defuse and smooth out misunderstandings and mistakes in your expression of Oneness. Through the reader’s conscious awareness of the societal brainwashing about race and nationality, the light of understanding and intelligence dispels false conditioning. It gives readers perspectives that enhance their ability to relate positively to others and find solutions. 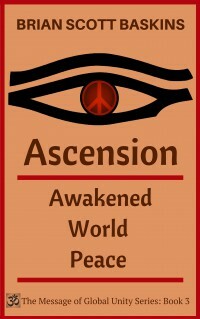 Try Ascension: Awakened World Peace. It is making waves and challenging mainstream understandings of world peace. Because it is obvious that consciousness is important, we take for granted we know what human awareness is and its role in rising above racial antagonisms. The real contribution of Ascension: Awakened World Peace is to make us re-examine that assumption. We must do so if we want to transcend and go beyond the limiting divisions of race and nationality. Once you have finished reading this book, you will live a happier life with by resolving the inner cause of racial and national conflicts before they manifest. In this touching book, Baskins teaches simple principles that anyone can use when faced with racial antagonisms or any other seemingly insurmountable problem to transform despair into hope and dead ends into possibilities. If you enjoy reading Dr. Wayne Dyer, Ram Dass and Don Miguel Ruiz, then this book is for you. Read this book and let’s ascend by expanding our consciousness and illuminating our inner-connectedness. Oneness refers to our emotional life; the type of peace we mean when we talk about “peace of mind.” This does not just mean calmness and quiet, this inner peace also refers to the way we think about ourselves and others. Oneness requires a genuine shift in how we experience ourselves. Oneness is already factual, so it comes into being only through understanding. When we acknowledge our Oneness, we see that there is nothing outside of ourselves in opposition to our unity, and the illusory walls of separation dissolve and disappear. Join in the joy of world peace by seeing the whole together!